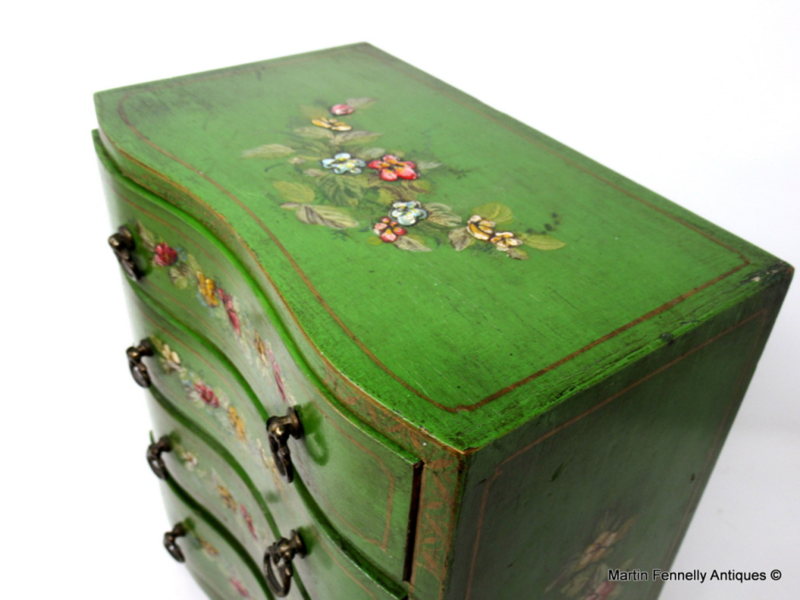 This is a truly wonderful little Antique. 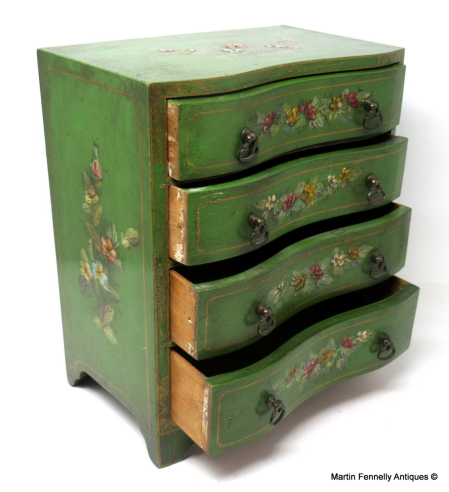 It dates to Circa 1890 and was made in The UK. 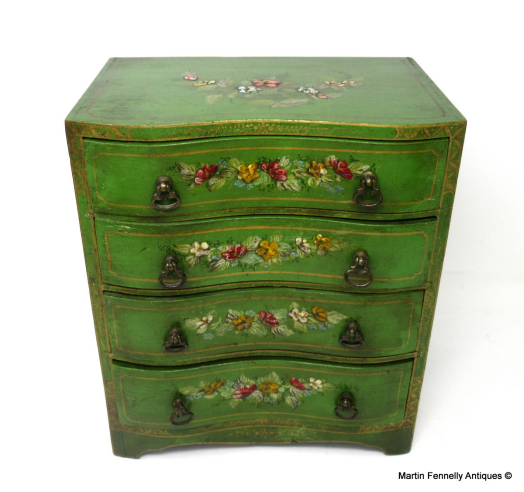 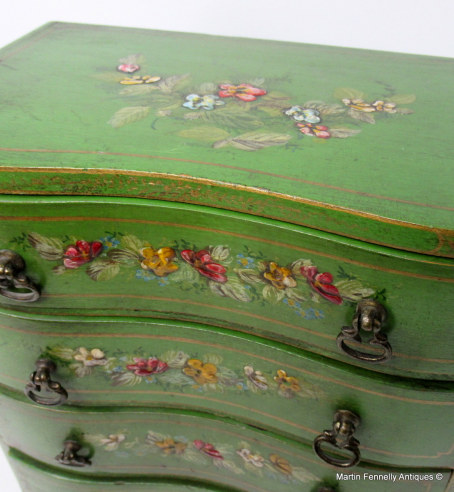 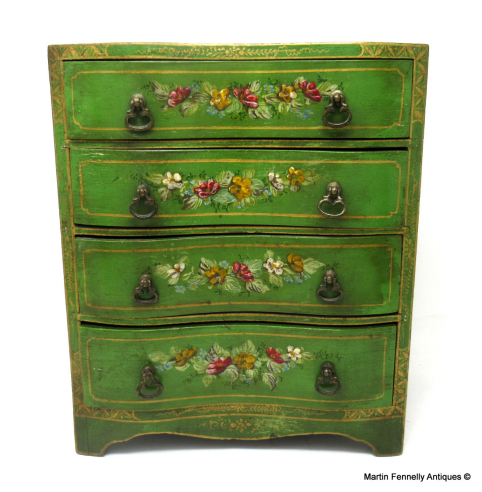 It is a Miniature Chest which is superbly hand painted with flower and floral decoration all over. 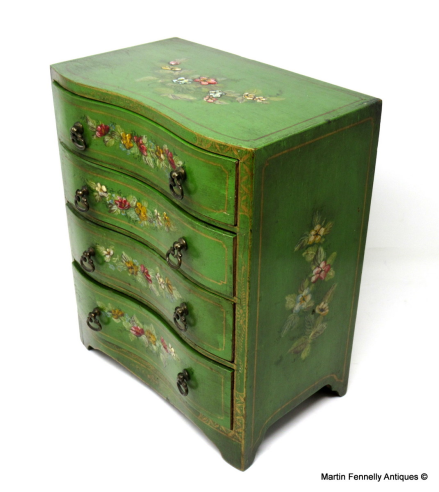 This piece with a serpentine front is a difficult piece to construct in this size and a very difficult piece to paint. It has the original handles and the overall condition is great.